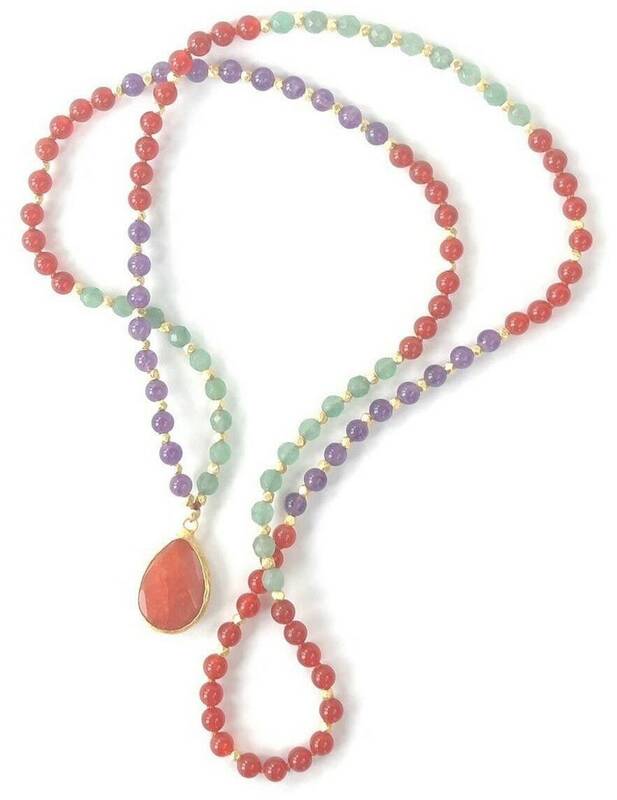 Smooth Carnelian, Amethyst and Faceted Green Aventurine are strung with gold plated nugget beads in a beautiful vibrant pattern. 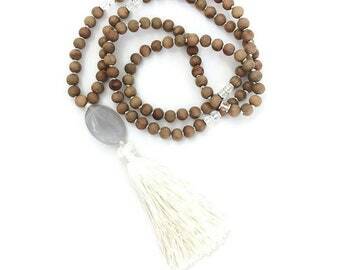 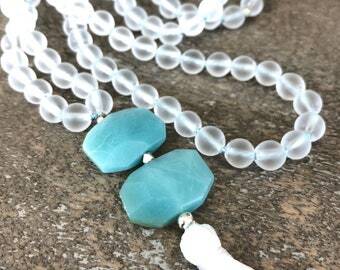 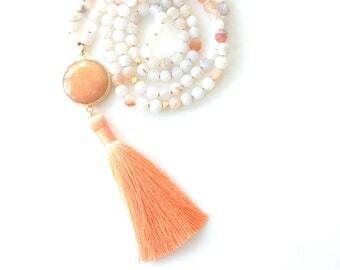 An orange Jade teardrop pendant anchors this Mala. 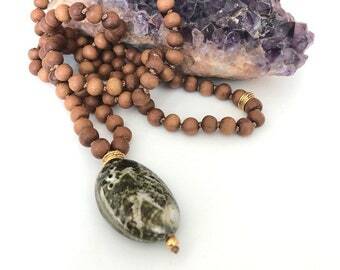 Your Mala has been cleansed in Palo Santo.